I made this for my swap partner Kathy in the MAMA group. Terri was hosting this fun swap! 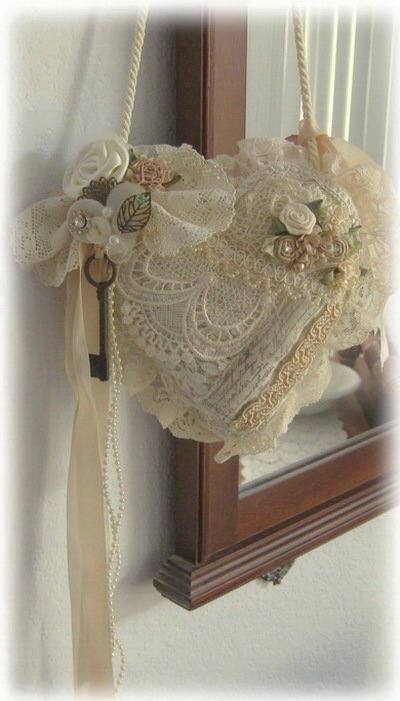 I found some old vintage lace, added some Buttons,ribbons roses,pearls and an old key. I love your heart Melanie. It's just gorgeous! It's perfect with one of your beautiful brooches added.